Nuffnang | Badudets Everything Nice! Being a mommy 24 hours a day, 7 days a week is truly a demanding yet fulfilling and rewarding role. There are difficult days for sure but the joys of motherhood surmount it all. Aside from having a mommy role, you have to fill in the wifely duties too. Oh, and a career woman too if you’re like me. You divide your time to your kid/s, to your husband, and to your career, do you still have time for yourself? Dress your age! It’s one rule in fashion that you must follow. Wearing age-appropriate clothes can give you an instant boost in self-confidence and personality. But did you know that when it comes to undergarments, there are also different styles that fit your age? 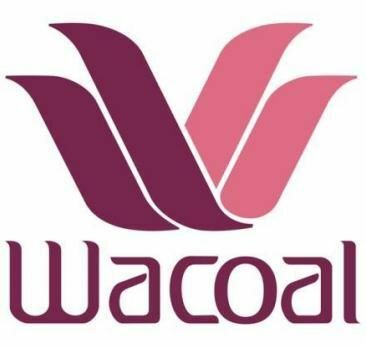 That’s what I learned from a very enlightening talk given to us by a Wacoal representative. We were blessed, so blessed that every time I pray at night, I couldn’t think of anything to ask but to thank the Lord for everything and let Him guide and decide what’s best for us. Give in to the richest, smoothest, and creamiest by NESTLÉ Ice Cream. Revel in the exquisite goodness of its four sophisticated flavors—Belgian Chocolate Bliss, Strawberry Dream, Vanilla Almond Secret and Butter Pecan Obsession. 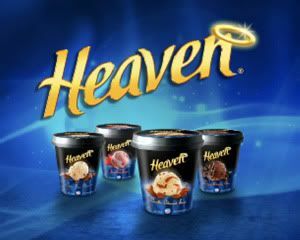 HEAVEN Ice Cream is made with only the finest ingredients and contains no artificial food colors. Available in 800mL(Php 175) & 450mL(Php 115) tubs across supermarkets, groceries, and convenience stores nationwide. 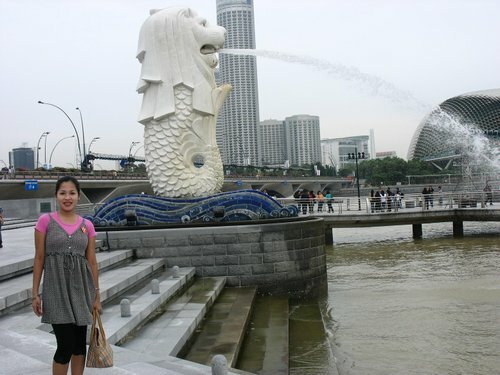 It was December 2006 when I first set foot in the land of Singapore. Singapore is one country closest to my heart because Papa worked here for a long time being a seafarer and since then, I always hear his stories and see his photos from Singapore. So when Papa gave us tickets to travel in Singapore for 4 days together with my Aunt and mother, I was ecstatic! It was raining on most days while we’re there but that didn’t stop us from exploring this beautiful country. The three of us enjoyed Sentosa, Little India and Orchard Malls shopping. It’s Krrunch Time, get Playful! Filipinos are known to be generous and thoughtful, that’s why wherever part of the world they may be, they don’t forget their loved ones left in the Philippines. Thanks to technology, we can keep in touch with each other and the misery that comes with distance is somehow alleviated. From time to time, our loved ones in the US always remembers to send a little something for relatives here in the Philippines, hence, the emergence of Balikbayan Box. 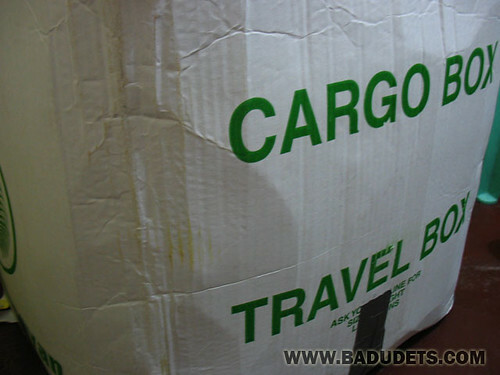 For those who aren’t familiar, the box is full of imported goodies, new and used clothes, imported chocolates, Spam (not the email kind, hehe), sausages, perfumes, toys and other things for your whole Filipino clan. I’m proud to be a Nuffnanger! Aside from its advertising strategies, there are lots of events organized by the company so that bloggers can socialize and have a life aside from this virtual world. And one better way to unwind is sit back, relax, and watch….George Clooney and Brad Pitt in Burn After Reading! You read it right, Nuffnang Philippines is inviting all Nuffnangers to watch this comedy and action-packed spy film on Tuesday, November 18, 2008 at the Robinsons Movieworld, Robinsons Galleria, 7:30 pm. Why would I want to watch the movie? Who could ever resist Brad Pitt and George Clooney? I want to be part of Nuffnang’s first event and I’m excited to meet some bloggers as well in the event. I’m new at blogging and its pretty cool to meet some seasoned bloggers and meet them in real life… hehe… will prepare my camera! I’m one of the winners of 68 Bloggers Campaign from Nuffnang! What a pleasant start of the week! Earlier this morning, while I’m on my early-morning-at-work-routine, which means surfing-the-net, I suddenly remembered to check Nuffnang. They already posted the 68 bloggers who won in their contest I’ve written about here. Luckily, I’m part of the list, yey! Aside from the 68 lucky bloggers chosen, they will be sending out consolation prizes to all those who participated in their campaign. What a generous effort to start with, so to those who haven’t registered yet, just click the ad below and sign up and be a Nuffnanger, not just a blogger. To see the complete list of the winners, click here. Good news to all bloggers who use their blogs as a money making tool. Nuffnang, Asia’s first blog advertising community, is now available to bloggers in the Philippines. 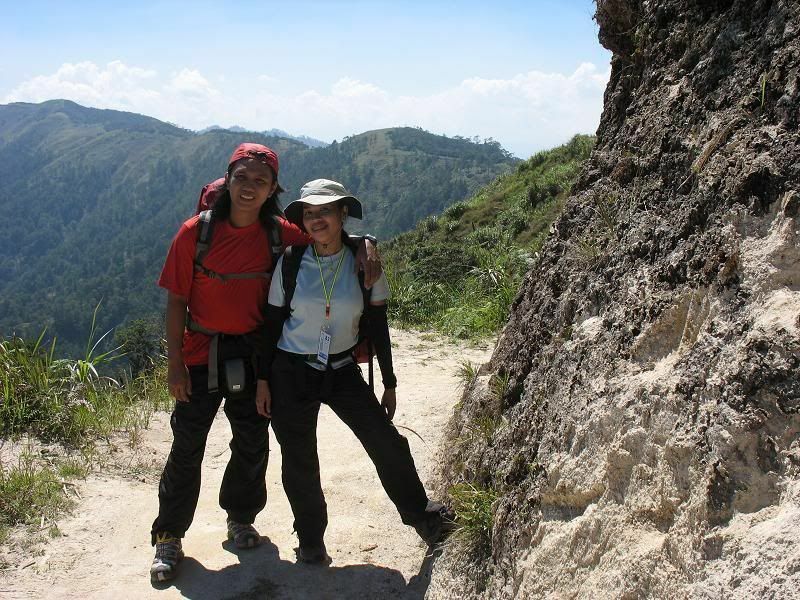 Back then, I was intrigued with Nuffnang everytime I visit Malaysian and Singaporean blogs. The ads are very eye-catching that gravitates me to click them each time. 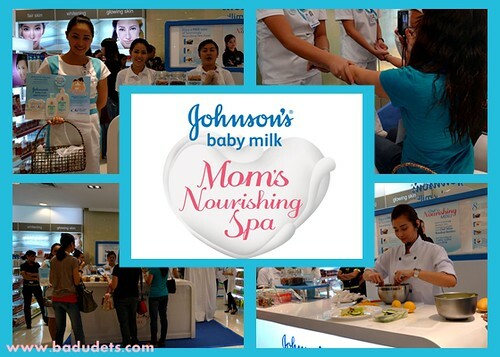 But now Filipino bloggers can enjoy the privilege of having Nuffnang ads in their blogs too. This September, they are looking for 68 bloggers who will join and write an entry about Nuffnang and will be paid Php 500 instantly. After signing up and activating your account, you must place an ad in your blog for one month. You can choose between 3 ad formats: Leaderboard (728×90), Skyscraper (160×300), or a Large Rectangle (336×280), the one shown above. Giving Nuffnang a try won’t hurt, right? Besides, it can work together with Google Adsense. You will also have chance to become a member of the Glitterati club if you’re not running any ads from other ad networks from Southeast Asia. What I love most about Nuffnang is that you’ll get paid in Philippine Peso so say goodbye to other bank conversion charges. You’ll have the option to cash out your earnings if you already earned Php 1,500. Quite doable, so I’m crossing my fingers that this will be more successful and more income generating for me. If this will be the case, I’ll say goodbye to my other blog advertising tool and say hello to Nuffnang!